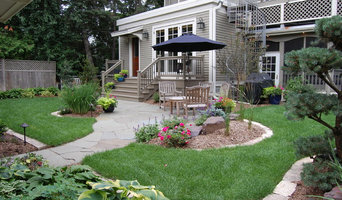 Smebakken Landscaping is a diverse company of landscaping professionals who love their job and do it well. We know how to take your landscaping project from concept to completion and utilize some of the best materials for all our work. If you would like to receive a free estimate on your next landscaping project feel free to fill out our short form on our contact page and someone will get back to your promptly. Wild Violets Landscape Design provides professional Landscape Design services, specializing in: •Professional Design for Do-It-Yourselfers •Gardening with Kids/Sensory and Exploration Gardens •Edible Landscaping with veggies and fruits •Low Maintenance (NOT no maintenance) Landscaping •4 Season Interest Stephanie holds a Bachelor of Science degree in Horticulture from the University of Wisconsin - River Falls. She is a Minnesota Nursery and Landscape Association (MNLA) Certified Nursery and Landscape Professional (CNLP). 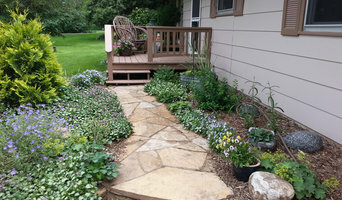 She has 15+ years of experience in the landscaping industry in the Twin Cities metro area. 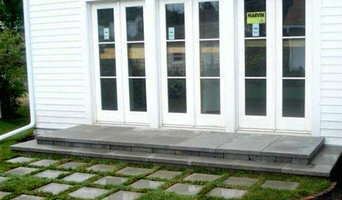 At J K Landscaping we pay attention to the little things and know what it takes to make your property beautiful. We transform properties into works of art and are ready to make your site our next masterpiecen. Let our years of experience go to work to keep your yard or garden looking fabulous and immaculate! Whatever the season-the beautiful views, endless displays, and always friendly and knowledgeable staff will inspire you to create your own unique outdoor living space! Whether it be your home, cabin or business, beautifully sculpted land, splashes of nature’s color can create a truly unique outdoor environment. 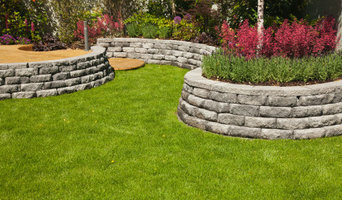 We all know attractive and professionally done landscaping significantly increases the value of your property. At the same time, it’s equally important to incorporate a functional, low-maintenance and comfortable area… a place to relax, have get-togethers and enjoy the company of family and friends. For over 25 years, we have maintained a reputation of providing top quality services in all of our divisions. This diversified allows customers the convenience of just one call for all of their outdoor projects. Being family owned and operated, quality, pride and attention to detail remain the foundation of every job we do… and we always guarantee our work! We cordially invite you to visit us – leisurely stroll the grounds, enjoy the displays and beautiful lake views as you gather ideas for your home! We’re here to help and answer any questions you may have, along with our friendly and knowledgeable staff. Thank you for the opportunity to serve you and for the confidence you’ve placed in us. We look forward to working with you! Landscape Designer with an interest in small public plazas and private residences. Custom garden & site design, garden maintenance. Edelweiss Design provides four seasons of attention to beauty by establishing a relationship with clients and their outdoor environments. Since 1986, their commitment to quality and full-service maintenance make them a first choice for exuberant gardens in the twin cities! High quality landscaping company. We work with customers to ensure they can get the most value out of properties, and most functionality. Celebrating over 50 years in business. A beloved West St. Paul institution, Southview Garden Center has thrived for over 50 years. Our dedication to high quality plants and outstanding, personal service is all wrapped up in a easy to shop package. 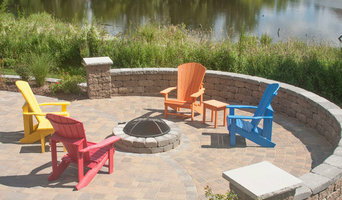 Neil’s Outdoor Services is your complete landscaping, design and maintenance company. With one call, consider it done — from weekly mowing to snow plowing to seasonal cleanups, creating a natural stone wall to keeping gardens tidy and colorful all season long. True to our word, we pride ourselves on prompt, professional service and a strong Minnesota work ethic.